Published June 27, 2015 at 375 × 500 in Water Hill Music Festival. The Ann Arbor Observer May, 2012. 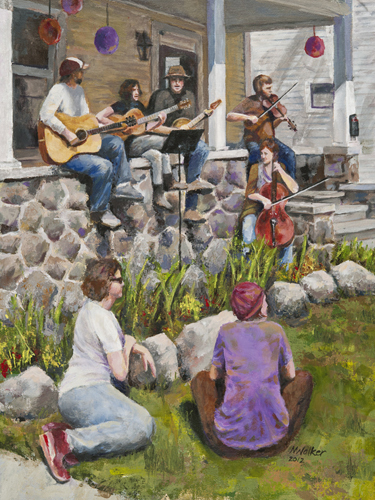 26″ x 18″ acrylic painting of musicians performing on the front porch during the Water Hill Music Festival in Ann Arbor, MI.